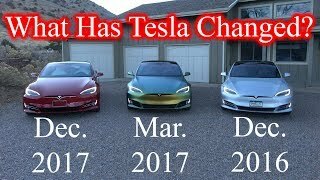 If until recently Tesla Motors were only producing the Roadster and the Model S, earlier this year the all-electric car manufacturer revealed their third vehicle, this time a full-fledged family SUV, Tesla Model X, that offers zero emissions and higher performances than most gas powered SUVs currently on the market. 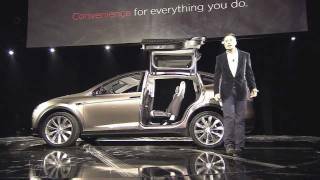 The Tesla Model X 2012 is motivated by a 60 or 85 kWh battery pack taken straight from the Model S, which sends the power to an electric motor for the rear wheel drive variant, or powers two electric motors in the Dual-Motor All-wheel drive variant. The latter is obviously more powerful, and in fact offers 50% more torque than the rear-wheel drive. Furthermore, the Dual Motor configuration can get from 0-60 mph in less than 5 seconds which is quite impressive for an all-electric SUV. As far as the range goes, same as with the Model S the X will cover roughly 230 miles with the 60 kWh battery pack, and up to 300 miles with the beefier 85 kWh pack. 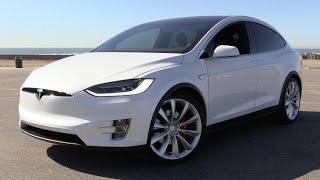 The exterior design of the Model X resembles that of the Model S and although the SUV is evidently not reusing Model S parts, the overall design is quite alike especially at the front end where you'll find a similar looking front grille and headlights. The SUV is also retaining the same coupe aspect, but beyond that, it comes with its own innovations, amongst which the shape of the rear doors stand out the most. Tesla called this rear door design "Falcon Wings", and for me at least, this is the first time a new door design makes sense from a practical point of view. On short, the Falcon Wings are basically gullwing doors with a hinge in the middle, allowing the passengers to open them in tighter spaces. Tesla SUV doesn’t disappoint on the interior either, as it comes with three rows of comfortable seats and a lot of luggage space as well. You might wonder how that's possible; having both a third row of seats and a lot of luggage space, but the answer is quite simple. Because the Model X isn't motivated by a combustion engine, it can offer storage space under the hood as well as in the back. 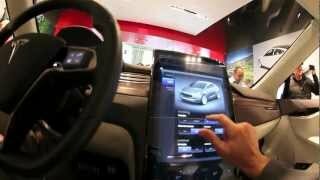 As expected, the interior is enhanced with state-of-the-art technology, one of the highlights being a pretty big Tesla Touchscreen infotainment system that replaces the central console. As far as pricing and availability goes, the Tesla Model X is said to have a similar price with an equally equipped Model S, meaning that the 60 kWh will have a price tag of roughly $60,000 whilst the more powerful 85 kWh version will be sold at around $70,000. The Model X is expected to hit the market at the beginning of 2014, so in case you plan on getting an all-electric SUV sooner than that, you might want to take a look at the Toyota Rav4 EV 2013.